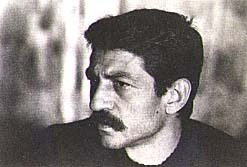 Nasrollah Kasraian was born in Khorramabad, Lurestan Province, in 1944. A gradutae in law from Tehran University, he has been engaged in photography since 1966. His exhibitions have been held Iran, England, France, Austria, Sweden, Canada, Holland and the U.S.
His work has appeared in GEO (German and French), Airone (Italian) and Grand Reportages (French). His published collected works include "Life", "From Childhood", "An Experience", "Endless Journey", "Our Homeland, Iran", "Turkmans of Iran", "Damavand", "Isfahan", "l'Iran Ruarl" and "Kurdistan". Kasraian is married to Ziba Arshi, a sociologist who accompanies him on his expeditions and collaborates with him in the publication of his works. They have three daughters and live in Tehran.